Flower color can be: orange, yellow, red, purple, white or pink, flowers small grow in clusters. 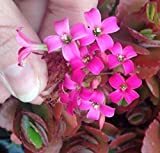 Succulent plant Kalanchoe Blossfeldiana pink. 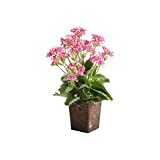 This Kalanchoe blooms year round.